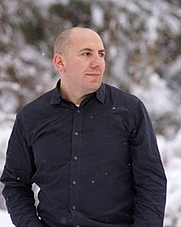 Alexi Zentner is an Assistant Professor at Binghamton University, and a faculty member in the Sierra Nevada College low residency MFA program. His first novel, Touch, published in 2011, was shortlisted for the Governor General's Literary Award, and The Center for Fiction's Flahery-Dunnan First Novel Prize, among other accolades. Zentner is dual citizen of the United States and Canada, currently based in Ithaca, NY. 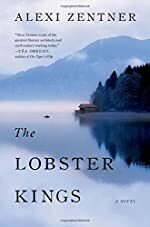 Set on a small, fictional island off the coast of Maine, his second novel, The Lobster Kings, is a nod to Shakespeare's King Lear, and is out May 2014. One of the questions I’m getting often is, "Why did [you] chose to write such a strong female voice?" And the honest answer is, "Why not?" It never occurred to me not to. My default voice doesn’t have to be male. Why can’t my version of the great American novel, whatever the hell that is, feature a strong woman’s voice? There is no female voice just like there is no male voice. There are just singular voices. I can’t write women—nobody can—but I can write a singular woman. I can write the heck out of Cordelia. And that’s the thing: the novel really is about Cordelia’s voice. I've spent fair stretch of time in Maine's art museums and galleries, so it was fascinating to see how you wove in Maine's rich history of maritime art. Which do you think was more of an inheritance for the Kings family in your book: the lobsters or the art? How so? I’m not sure that you can separate out being lobster fisherman from the Kings family, but I absolutely know that you can’t get rid of the art. They are so rooted in place. Loosewood Island is theirs as much as they are Loosewood Island. And Brumfitt—the first member of the Kings family to arrive on Loosewood Island, and a famous painter—helps Cordelia, and her father, Woody, to understand just how special the island is. Other characters in the book love Loosewood Island and see how beautiful and rugged it is, but Brumfitt’s art is what lets the Kings family see the magic and the myth that has shaped them. But it’s an interesting question, because the history of maritime art is inextricably linked to the job. During the winter or when the weather was too bad to go out to fish, the men and women living on the coast had the luxury of the time needed to make art. And sometimes that was the only luxury. It’s a stunningly beautiful landscape, but it’s unforgiving. Dogs play a prominent role in this book. Without spoiling any major plot points, what makes dogs such an important part of this family? Do you have a dog yourself? If so, what kind? I have two dogs right now, and my wife and I each had a dog when we met. In fact, the very last line in the acknowledgements to the book is, “Hopper, Ditto, Tootsie, and Turtle. Good dogs, past and present.” I’d actually had to put down one of my dogs, Hopper, a few months before I started writing The Lobster Kings, and got Turtle a few months into the novel. Writing can be lonely at times. To write requires a fair amount of time alone in a quiet room, and it can be immensely comforting to have that constant presence of a dog. Plus, my dogs are kind of weird, so I can take pictures of them and put them on Twitter. It’s a sad sort of hobby. For the Kings family, and for a lot of fishermen, dogs are just a constant. Fishing is a hell of a lot harder than writing, but it can be lonely in its own way. And Newfoundland dogs are great because they are strong swimmers and have a history of rescuing drowning men. One of the foundational stories of the Kings family is that Woody was saved from drowning by a Newf when he was a child. The Lobster Kings is not exactly contemporary, but rather set about ten years ago. What is the significance of placing a book in almost a contemporary setting, especially when one considers the almost time-transcendent nature of daily life on a small island? Do those ten years matter? Ten years is nothing and everything. A lot of what the book is about is the way that a place like Loosewood Island is both timeless and at the mercy of change. The Kings family has been financially successful at least partially because Woody was able to see early on that tourists were going to reshape the island, and during the time the novel is set, Cordelia is trying to stop the more sinister drift of drugs from changing the island. It’s also important because I wanted to write a book that wasn’t only of this moment. That small amount of narrative distance allowed me, I think, to write a book that would have been relevant ten years ago, when it’s set, or ten years from now. Or, hopefully, longer. I really like that this book confronts the less tourist-friendly side of Maine lobstering islands with the inclusion of drug dealing. While you have certainly lucked out with methamphetamines already present in pop culture from TV shows like Breaking Bad, what made you choose this particular drug for this book? For personal reasons, meth is one of those drugs that occupy a place of importance. My first cousin struggled with addiction, and he died from overdosing on meth. But it’s also a drug that really is insidious in places where hard physical labor is a way of life. I went to university at Grinnell College in the mid-1990s, and it seemed like the epicenter of the meth epidemic began about twenty miles away. It was fueled by long-haul truckers who needed to stay awake. And in the kind of communities where the longer and harder you work, the more money you make—these fishing villages that are part of the fabric of the book—meth can be a drug that has a siren’s song. A bump can get you through an extra shift, a few more hours of working. I know that heroin is a huge problem down east—and again, here, I have a very messy family history—but some of what makes meth so terrifying is that there can be a certain twisted logic in using it so you can work harder. Of course, what happens is that it spirals into addiction. Meth is scary as hell. Not being a Maine native, what made you want to place this book on an island off the coast of Maine, rather than a farm, or any other inheritable land? What type of research did you need to do? I don’t understand how anybody can be near the ocean and not feel some sort of a pull toward the water. And as a writer, there’s a real value in setting a story in a place where the landscape matters. You can’t turn your back on the ocean, and it doesn’t matter what you want or what you don’t want: the ocean does as it will. And an island was important because I wanted it to be a place that belonged to the Kings family. Not literally, of course, but a place that they could entirely inhabit. And it also meant that the idea of fending off incursion means more. Plus, with the idea of riffing on King Lear, I was borrowing the idea of England as its own island. But Maine, the entire area, just pulled at me. I first fell in love with the landscape the way that I think most people who aren’t natives do, on vacation. But once I realized that I couldn’t shake it, I came back to do research. For me, that mostly consists of being in the place, of getting a feel for it, of trying to develop some sort of a bone memory. And then, to write the book, I had to leave. I think that it’s much easier to write about a place that you’ve left behind than the place where you are. The funny thing is that Loosewood Island is set off the coast of Maine and Nova Scotia and New Brunswick and is this contested island, neither Canadian nor American, and it wasn’t until my editor pointed out to me how aptly that described me—I was born and raised in Canada, but my parents were American and I’ve lived in the USA for literally half my life—that I realized what I’d done. Lobster roll or lobster dinner? Lobster ravioli? How do you like to eat Maine's favorite crustacean? There is no wrong answer to this question, because lobster in pretty much any form is fabulous. I’ve been joking that the best part about writing The Lobster Kings is that I’ll be sure to get at least a few meals with lobster. Years and years ago I had lobster bisque that was astounding, but if you really pinned me down I’d probably admit to loving lobster rolls. It’s fun to do lobster dinner, but lobster rolls remind me of lobster’s roots. Because lobster is considered a luxury item now, we forget that it didn’t used to be that way. Lobster doesn’t have to be fancy, and a good lobster roll is the simplest kind of luxury. What is your own library like? What kinds of books would we find on your shelves? Do you have any other favorite retellings of classic literature or myths? I read really widely. As a kid a read a lot of classic mythology, science fiction, fantasy, all that stuff, and then moved toward literary fiction as I got older. But I have about 1,500 books in my office, which is pruned down from before I moved to Ithaca. Mostly, I read contemporary fiction now, and so many of my friends are writers that just keeping up with the books they put out can keep me busy. In terms of retellings of classic literature or myths, it’s almost impossible to pull out a novel that doesn’t, in some way, draw on a fairy tale or a classic story. I hope you come back to the Maine coast this summer. What's up next for you? I’m finishing a couple of projects now and just starting to think about what’s up next. I’m drawn to the Maine coast and am looking for any excuse to come back. However, the novel I’m beginning to flesh out is probably going to be set in upstate New York. But I love Cordelia, and to be able to come back to her and to Loosewood Island would be terrific.